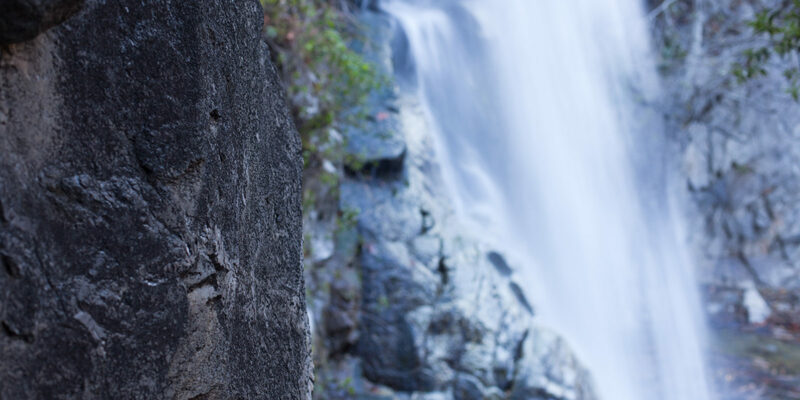 Five of my favorite waterfall hikes in Southern California are located in the greater Los Angeles area. Here’s how to experience these spectacular treks for yourself. Before I moved to Los Angeles, I never associated waterfalls with Southern California. The L.A. of my imagination was all sun and sand. But because of the variety of mountain ranges that crisscross the region, finding a waterfall is actually as easy as finding a hiking trail. Since I began exploring Southern California, locating the perfect waterfall has become a hobby of mine. There are few things I’d rather do than pack a picnic lunch, lace up my hiking shoes and set out for new territory. Here are five of my favorite waterfalls in the greater L.A. area — which are all appropriate for a day hike, accessible for inexperienced hikers and undeniably beautiful. Escondido Falls Trail, a tremendously popular destination located off the Pacific Coast Highway in Malibu, is at its best in spring and summer. You’ll find two falls on the trail here: one small and serene, the other dramatic. For brave and agile hikers, ropes lead to a grotto at the second waterfall. When I visited, I pulled myself up and looked out from inside; while it’s a steep and slippery climb, the experience was worth it. The hike to these falls, roundtrip from the parking lot and back, stretches a bit more than three and a half miles. Afterward, head over to Neptune’s Net, a historic seafood spot located just down the PCH. It’s frequented by surfers and bikers alike, and seafood lovers will find plenty to choose from. I always order the fried clams after a long hike. You may not have cell phone reception in all canyons, so make sure to have a screenshot or a physical copy of a trail map with you. Located in Wildwood Park, the stunning Paradise Falls flows into a large pool flanked by rock walls. Although some of it dries up during summer and autumn, Paradise Falls runs year round. In fact, I visited during the last long drought, and the water was still going strong. The hike directly to the falls is a bit more than a mile each way. You can also take a slightly longer loop, or extend your trek for several more miles through other areas of Wildwood Park; helpful signage throughout will keep you oriented. It’s a relatively easy hike, with some changes in elevation, and I saw plenty of families with both children and dogs along the way. 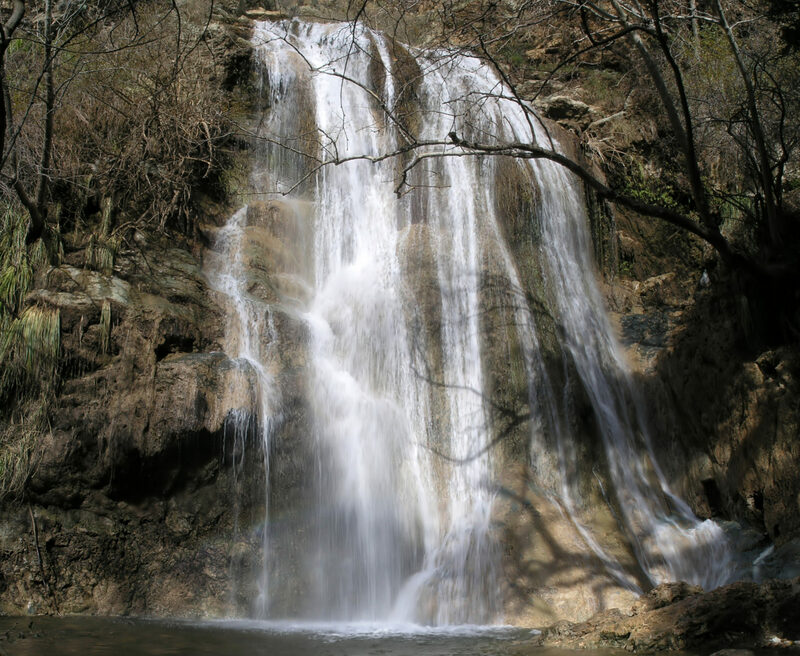 Some waterfalls may dry up during late summer and autumn dry seasons. All falls are spectacular after a rain, but you may want to wait a few days to avoid muddy, slick trail conditions. 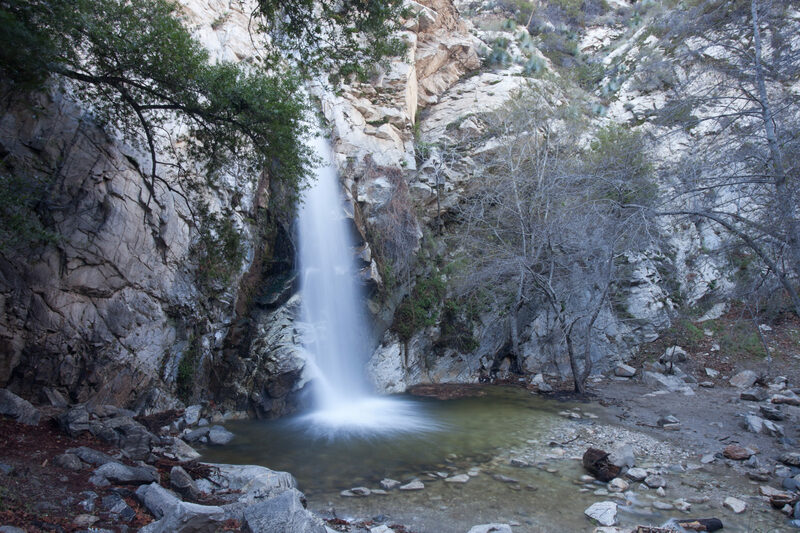 If you want to feel like you’ve escaped the city, Sturtevant Falls — nestled deep in the foothills of the Angeles National Forest — is perfect. To get there, take a winding mountain road to the Chantry Flats trailhead. Bring your National Forest Adventure Pass or buy a parking permit at the pack station (there is also a basic snack bar). The hike, which is about three and a half miles round trip, will take you downhill past dams, streams and historic cabins. Many hikers swim in the falls here, so consider toting along water shoes, a towel and a swimsuit. Hiking shoes are a necessity. The hike back to the parking lot is uphill, and be alert for bears and snakes, which are spotted occasionally in the area. Solstice Canyon Falls is modest compared to some of the others on this list, but the hike to reach it is lovely in its own right. Keep an eye out for the stone ruins of a 1950s ranch house, whose walls and foundation remain. The trail is also an excellent place to see wildflowers in the spring, with a gorgeous view of the ocean on clear days. The hike into the falls and back out on the same trail is about two and a half miles, or you can add a loop that extends the trek by about a mile. Plan to tote out any garbage you accumulate while hiking. There are no trash cans along the trails. Holy Jim Falls is a small waterfall that has a remote feel. You’ll need to take a dirt road to reach the trailhead, so a small SUV or a four-wheel-drive vehicle will come in handy. (You’ll also need a National Forest Adventure Pass to park.) The trail is just short of three miles long, reasonably shady and marked with placards highlighting the history of the area. It’s best to visit in winter or spring. The United States Forest Service requires a National Forest Adventure Pass to be displayed in parked vehicles at some trailheads. The passes are available on a daily or annual basis and can be purchased online or at sporting goods stores. Kate B. is a writer living in Los Angeles.